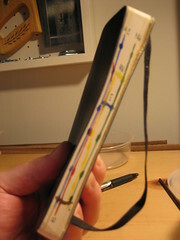 My Moleskine hack is a finalist in the My Moleskine 2.0 Exhibition. If you happen to be in the Hong Kong area, take a look at the exhibit and vote for your favorite design. 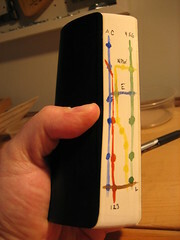 It’s kind of sad when your notebook is better traveled than you are. This entry was posted on Thursday, July 16th, 2009 at 5:04 pm	and is filed under Design Competitions. You can follow any responses to this entry through the RSS 2.0 feed. You can leave a response, or trackback from your own site.